Virtual coordination is only as good as the field installation that follows it. With 3D Coordination now a commonplace on most large vertical construction projects, the industry as a whole is bumping into a seldom talked about challenge in construction – quality assurance. We spend tens or even hundreds of thousands of dollars in man-hours developing detailed coordination models to enable pre-fabrication, reduce our schedule risks, and hopefully offer a higher level of quality to our clients. But, how much time do we spend validating that what gets installed actually matches what we coordinated? Why does it matter? Coordination issues that are found in models may not exist in drawings, and even worse, coordination issues that appear in drawings may not appear in your standard 3D coordination workflows. In this course, we explore the need for tools and processes to be as innovative as our designs, especially as projects become more competitive and complex. Better understand the disparities between design documents, models, and drawings that are plaguing the project validation process. Learn the ways in which you can increase efficiency in model review and coordination at your firm. 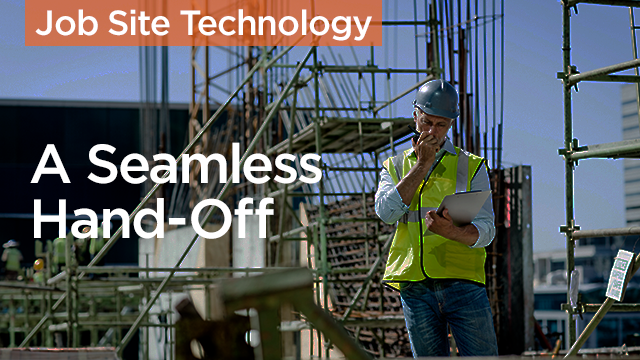 Learn how reality capture and more effective validation processes can help your team efficiently check the installation of work. Understand how to better manage the time of both your team and the design team during project hand-off. CM-BIM CE Credit | AGC of America recognizes this webinar as qualifying for continuing education hours towards the renewal of AGC’s Certificate of Management-Building Information Modeling (CM-BIM). Attendees may earn up to 1.0 hour of CE Credit by viewing this webinar. BIMForum 2018 - Join Us!